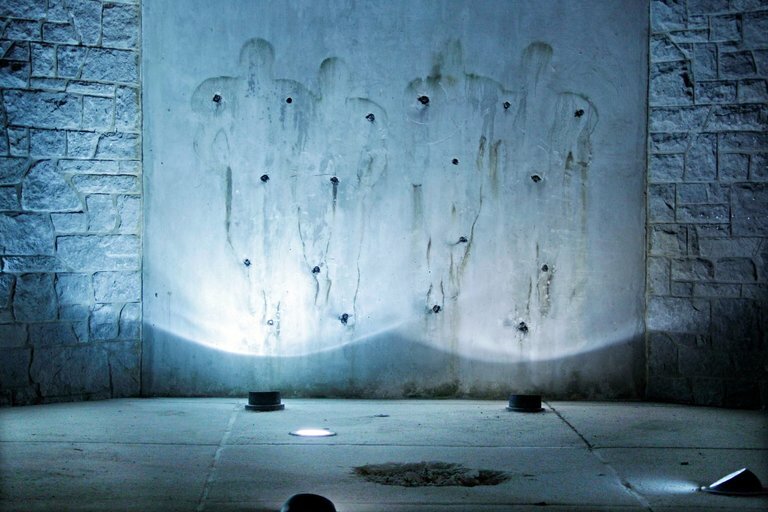 It’s hard to imagine Joe Paterno’s legacy being any more tarnished than it was…except that it has been. A Penn State University-commissioned report several years ago suggested the late former football coach became aware of assistant coach Jerry Sandusky’s sexual abuse of young boys in 1998. Recent reports, however, including one today, indicate Paterno might have known about Sandusky’s sexual perversity as early as 1976. Court documents made public today show that in a 2014 deposition, a man called John Doe 150 in the documents testified that Sandusky touched him inappropriately in the shower when he was a 14-year-0ld attending a football camp. The next day, according to the documents, the victim told Paterno about the incident, but Paterno brushed him off, saying he didn’t want to hear about it and had to focus on football. “I was shocked, disappointed, offended,” John Doe 150 said in the deposition. …This is a case that, when it surfaced in 2011, made me equal parts sick and sad. Now, it’s even more appalling. Not only do I not understand why some Penn State students are still be agitating for a return of Paterno’s statue outside the university’s stadium, I don’t even understand how his family can continue trying to defend him. Besides being maddening to the press, there’s never been anything wrong with saying “No comment” and letting it go at that. 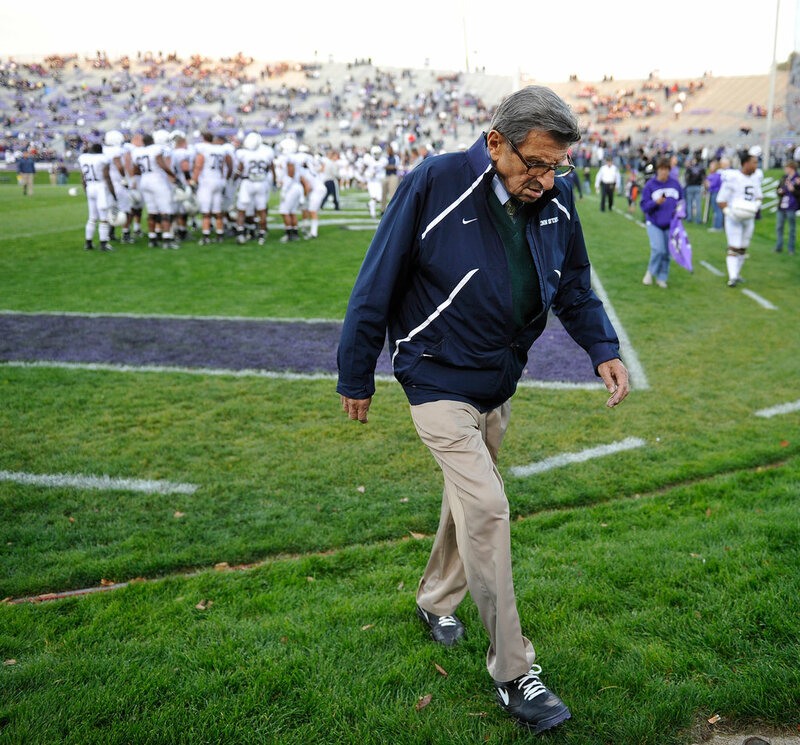 Years ago, whenever I saw images of “Coach” Paterno, I suspected his rigid expression and cleats-and-khaki-pants look suggested a personality and world view that was fairly narrow. Narrow as in limited essentially to the locker room, the football field and the runway in between. The Coke-bottle-thick spectacles didn’t help, although plenty of people with myopia have had tremendous breadth of understanding about the state of the human race and the evil instincts that reside in some people. In 2012, Sandusky was convicted of 45 counts of the sexual abuse of 10 young boys in cases going back to the 1990s. He is serving 30 to 60 years in prison. The one and only time Paterno went to a higher-up — the school’s athletic director — was in 2001, but he took it no further — nor for that matter, did either the athletic director or the university president. Like Paterno, they were subsequently fired. The Penn State debacle has an indirect Kansas City connection, as some of you may know. In 2011, just before the Sandusky scandal broke, former Kansas City Star sports columnist Joe Posnanski decided to write a biography of Paterno. He had garnered Paterno’s cooperation and had ready access to him. Yes, by 2011, when he was 85, he was old, befuddled and pathetic. But what about 1976, when he was 50, full of energy and had no excuse for not being aware of everything going on around him? No excuses work for Paterno now. None. He was a gutless man and a horrible coach, at least in the fullest sense of a college coach. A good coach not only pays attention to what’s going on between the lines, he nurtures and guides young men and tries to help keep them on the straight and narrow. And that brings us back to narrow. Paterno might as well have had blinders mounted on those thick glasses. The blinders were invisible for a long time, they were there for almost as long JoePa was the face of Penn State football. The great thing about your blog, Jim, is that you’re not afraid to make judgments. “Non-judgmental” is a constituent of that political correctness which favors euphemisms, not truth. So we have Obama refusing to acknowledge the religious aspect of ISIS, and The New York Times editorial board saying Mrs. Clinton’s public comments about her basement email server were “evasive” and “misleading,” when in fact they were baldfaced lies. High praise, Don…I really appreciate it. Good points you make about Obama’s tip-toeing around ISIS and NYT’s deference to Hillary.